Use the arrows below to learn about the history of Block Electric. Frank Block starts Block Electric. He receives Electrical Contractor license No. 85 in the City of Chicago and begins work converting homes and apartments from gas to electric. John Block joins his brother Frank on the journey ahead. They begin to grow the business in the commercial market as more and more buildings convert to electricity. The Block Brothers begin using DC voltage from the railroad tracks. The Block Electric Company begins to achieve great success from an abundance of commercial work and becomes Block Electric Incorporated. Block Electric Incorporated begins to take on a longer list of increasingly complex projects. Block Electric becomes affiliated with the Roman Catholic Archdiocese of Chicago and takes on numerous church projects. Block Electric Company Inc. begins to get involved with hospital work - namely, a new building for St. Francis Hospital in Evanston. The team at Block also becomes involved with manufacturing plant work in Joliet, starting with Glidden-Durkee division of SCM corporation. This project was a design/build in which we partnered with Reed Electric. in the 1970's Block Electric's strong presence in hospital, commercial, and industrial work continued to grow at a great pace. Block took on a host of exciting, high profile work including the Old Chicago shopping center & amusement park, Northwestern Hospital, Rush Presbyterian/St. Luke’s Medical Center and St. Joes & Silver Cross Hospitals in Joliet. 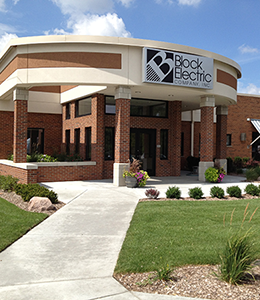 Block Electric also established a second office in the Joliet area. Jack Block, son of John Block, becomes President of Block Electric. The company continues to take on increasingly larger projects. Highlights include the American Bar Association (ABA), The University of Chicago – Hyde Park, the Atrium Building at Rush hospital, and the TransUnion building in downtown Chicago. Block delivered a massive range of electrical work for the manufacturing plant Landis Plastics. The company continued our strong presence in the educational sector with the award of exciting new projects at The University of Chicago, including the building of the Law School and the Joseph Regenstein Library. Other work of note included the Crosfield Chemical Plant, and the St. Josephs Medical Center and Nursing Home. Block Electric continues to grow and deliver high profile electrical contracting work in the healthcare sector with projects such as the Bollingbrook Hospital and LaGrange Memorial Hospital. The company is also awarded significant high profile commercial projects such as Ikea (Bollingbrook), Dollar Tree Stores. and Harrahs Casino in Joliet. Today, Block Electric's customer base is the largest it’s ever been with projects such as Silver Cross Hospital in New Lenox, Chicago Athletic Association Hotel, Argonne National Laboratory, Akzo Chemical Plant, Stepan Chemical Plant, Rush University Hospital, and University of Chicago to name a few. We are currently working on a brand new manufacturing plant for Costco Wholesale (their largest plant to date). Back in 1920, Frank Block, hung up his sign. He became an electrical contractor, license No. 85, in the City of Chicago. The work back then consisted mostly of converting homes and apartments to electricity from gas lamps. The easy ones were the homes that were located alongside the CTA tracks. The CTA sold DC power to anyone who wanted to buy it. 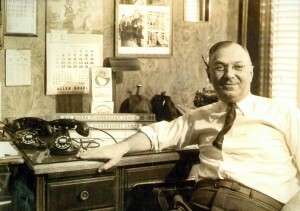 Five years later, John Block, joined his brother just before the great depression. Things got pretty tough for them through the next decade as business after business failed. Very few people had the resources to convert to the luxury of electricity. Frank and John Block overcame the handicap of having little formal education. They saw an industry in its infancy, as electricity was newly invented. Their small contracting business grew without the advantage of the sophistication we have today. They had one goal in mind: Do the best job possible, keep their costs in line, and make a profit. Block Electric has remained family owned for nearly the last 100 years, with three generations of the Block family working for the Company.